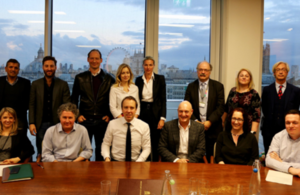 ECHAlliance Member Rachel Dunscombe part of Healthtech Advisory Board to help guide the government! The Healthtech Advisory board will advise Matt Hancock on his technology vision for health and social care. IT experts, clinicians and academics will come together at the first meeting of the Healthtech Advisory Board today (19 November 2018) to help guide the government on its mission to transform technology in the NHS. The board will look at how the NHS can harness the potential of technology and create a culture of innovation, with the aim of improving patient outcomes and reducing the workload on NHS staff. The board will meet every quarter to help guide the government on its mission to overhaul technology and IT in health and social care. I want the UK to have the most advanced HealthTech ecosystem in the world. That starts with improving the technology and IT systems in the NHS and creating a culture of innovation so patients can benefit from cutting-edge treatments while reducing the workload of staff. The new future-focused HealthTech Advisory Board will bring together tech experts, clinicians and academics to identify where change needs to happen and be an ideas hub for how we can improve patient outcomes and to make the lives of NHS staff easier. I am delighted that Matt Hancock has created this board to inject challenge and diverse expertise around better use of data, evidence and technology in healthcare. I hope we can bring positive change for staff and patients, and realise the Tech Vision with a cutting-edge 21st century NHS. Medicine is driven by information: better use of data can revolutionise health care.